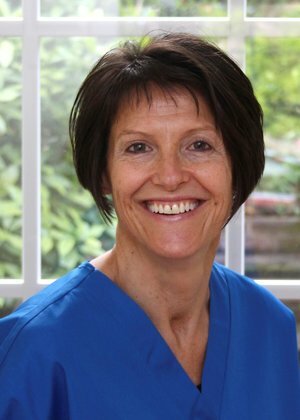 Carol is an experienced member of our dental team, mainly concerned with preventative dental health and treating gum disease. She provides professional dental cleaning and shows patients the correct daily home care needed to keep their mouth, teeth and gums healthy. She provides a confident, caring and friendly approach using good communication with her patients. Carol trained with the Army, completing her Diploma in Dental Hygiene at the Royal Army Dental School Aldershot. She has worked in the Hampshire and Surrey region with Dr Patrick Coffey for over 20 years. Carol enjoys attending regular courses to keep up to date with new developments in the world of dentistry. Her spare time is taken up with keeping fit, that means lots of running, cycling and the occasional swim. Mainly being mum to her three teenage children.